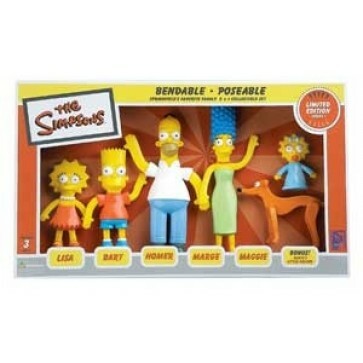 The whole Simpsons family now available as bendable and poseable dolls. Ranging in sizes for 2.5" to 7" the set includes: Bart, Lisa, Homer, Marge, Maggie, and Santa's Little Helper. Limited Edition collectible set.